Above are “before and after surgery” pictures of a ten-year-old girl who had a lip revision procedure performed by our surgical team. The previous surgery left a pronounced and asymmetrical scar, which will now heal with a much more natural appearance. 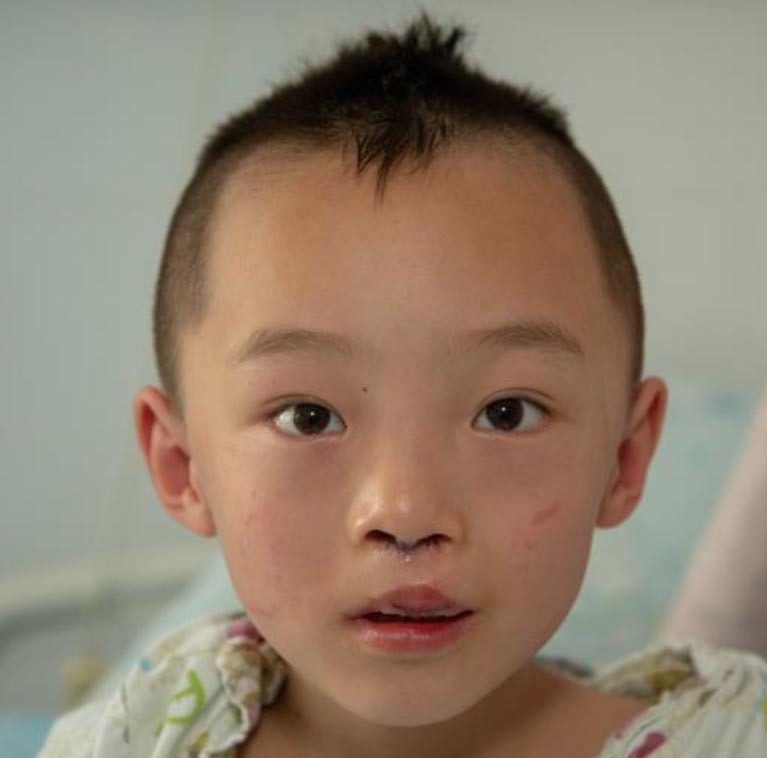 Meet Luo Chuan Bo, left, a five year old boy who received a lip revision and a rhinoplasty. Chuan Bo and his parents arrived by bus after a four hour journey. 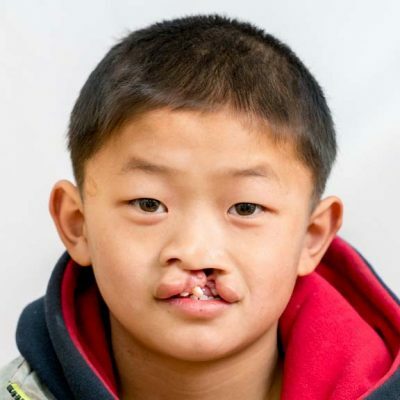 The family paid for a previous cleft lip surgery and a cleft palate surgery, but did not view those surgeries as fully successful. The parents wish for a normal appearance for their boy. 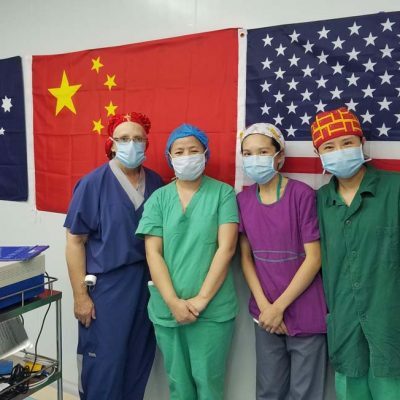 The parents were quite emotional when discussing their hopes and expectations of surgery, the mother crying and hugging Mary Liu, Mission Director in gratitude.